London has some phenomenal sights, with the likes of Buckingham Palace, the Houses of Parliament, the London Eye and the newly constructed Shard just a few of the attractions that pull in tourists from around the world. Here at Westbus, we are now able to offer you the opportunity to enjoy sight-seeing tours of many of London’s main attractions thanks to our classic bus hire service, which enables you to avoid the queues and experience this tour with friends, family or work colleagues in complete comfort. 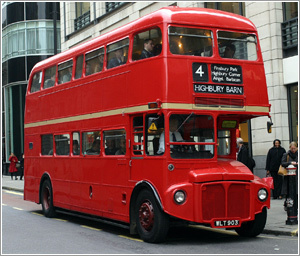 The Routemaster Double Decker buses were once a symbol of London however when they were decommissioned from public service in 2005, London lost one of its most recognisable features. However thanks to a little TLC, we are now bringing them back to the streets of London, with both traditional and open top versions in our collection. An open top bus tour is one of the very best ways to take in the sights of London and with our hire service, what better place to enjoy a party or corporate gathering? Alongside the great views of London’s landmarks, you will also get the thrill of the wind through your hair as you drive down some of London’s most well known streets and the noise generated from the hustle and bustle of the capital city. In addition to being great for personal use with friends and family, a tour around London on one of these iconic buses can be a great way to launch the latest product your business has to offer. Imagine the excitement of your potential customers when they come across your invite to attend a product launch around London on an open top RouteMaster red double decker! You will have everyone rushing to attend! 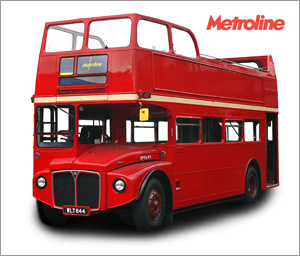 To find out more about hiring one of these great double decker buses for a tour to take in the sights of London, get in touch today by calling our team on 020 8572 6348, emailing [email protected] or by completing our online enquiry form.